Qualify for our 2020 Napa Valley Incentive Trip! Enjoy a luxury trip to Napa Valley, California in 2020 as part of OCI’s Circle of Excellence Awards. Qualifying for this trip begins January 1st, 2019 and ends December 31st, 2019. You must qualify at the Master’s or Director’s Level to receive the incentive trip. See below for more details on OCI’s Circle of Excellence. 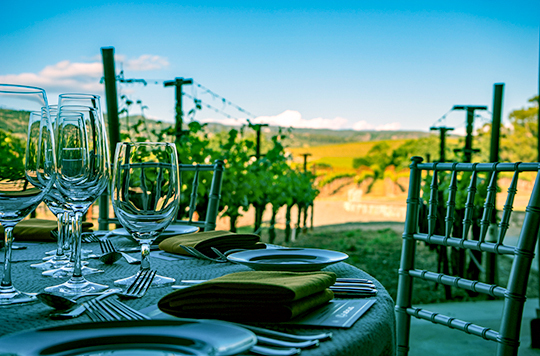 The top 15 qualifying agencies will join OCI for an exclusive trip to Napa Valley. In spring 2020, OCI will provide a unique and personal experience to a wine, food, and outdoor lovers paradise. With truly beautiful scenery, the 2019 Circle of Excellence will take full advantage of this small area of Northern California, which boasts some of the world’s best wine and food. Experience Michelin-star restaurants, luxury accommodations, outdoor adventure, as well as historic landmarks, galleries, gardens, and theaters. Expand your palate as expert winemakers lead you and your taste buds to discover the area’s finest wines and develop a deeper appreciation for the art of winemaking. Napa Valley’s collaborative spirit will make the Circle of Excellence a legendary and exclusive experience that you won’t want to miss. Agents or Agencies that reach one of the three commission levels below will enjoy premium rewards, including access to exclusive events, hours of graphic design work, and more. Levels are based on commissions paid during the qualifying period (1/1/19 to 12/31/19) from OCI to an Agent or Agency with all carriers through OCI. Agent/Agency must be a member of a professional association to qualify. Questions? Please contact your Senior Sales Executive or call us at 402.330.8700. OCI reserves the right to alter levels and awards at any point.